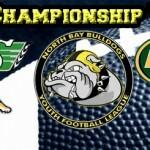 The North Bay Bulldogs are humbled by the turn out we had to our Youth Football Combine/Camp. It’s always a pleasure to see our young raw athletes come out and have fun learning and executing their very first tackle, block and catch,. So what happens next? We have one more group practice coming up so keep tabs on our event calendar. After this Tuesday’s group practice the coaches will assemble on the weekend to draft their teams to ensure even and fair distribution of players and talent. It is with a heavy heart we retire the CFL team structure but in it’s place we are expanding our Bulldog brand (including new jerseys, logos, teams and divisions) – remember we are all BULLDOGS in the end. Once the teams are created we will then let the coaches rudder their teams and be the central point of contact. The past weekend saw the dramatic conclusion to an action packed Bulldog Youth tackle Season. 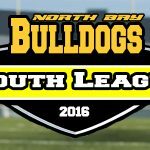 The North Bay Bulldogs want to thank all of the coaches, volunteers, sponsors, and fans and our terrific players who made this season a success. It is our privilege to give the kids a place to learn and play the game of tackle football. To watch them develop as athletes and evolve as football players is an honor and a privilege. Our league is played for fun and enjoyment championships are a small part of the experience. 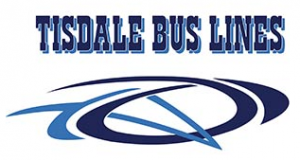 The Bulldogs Football League simply ask that our players get the most entertainment they can out of their Youth Tackle League experience and strive to learn and build their characters as we look for them to be humble in victory and gracious in defeat. The Gold Championship: The Lions edged out a win over the Argos 32 – 30. 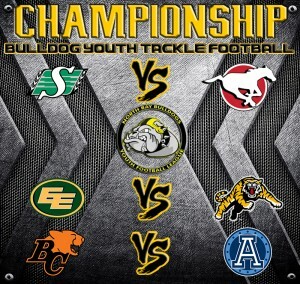 Congratulation to all of the Youth Tackle Teams for all your hard work and effort. Remember you are all Bulldogs. The North Bay Bulldogs want to send out a special thanks to Cecil’s for the excellent food and service for our year-end banquet. 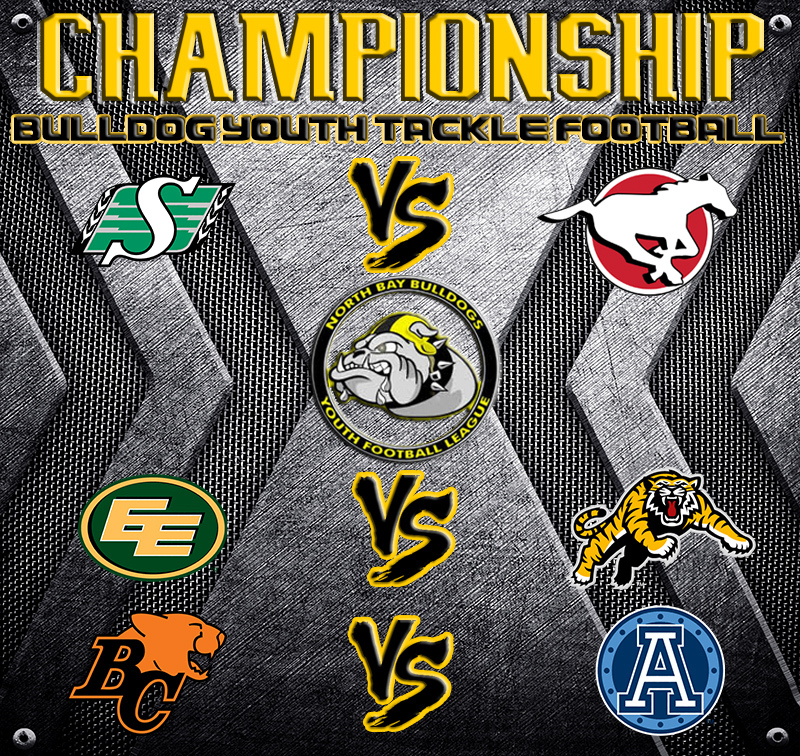 Game 1 at 11:00 Will feature the never-say-die RoughRiders battling the physical and Stout team of the Stamps. 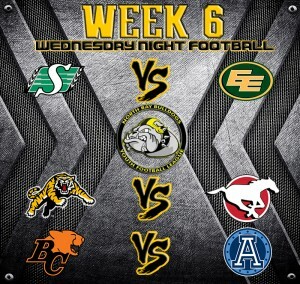 Game 2 at 12:30 will see the formidable Eskimos taking on the always dangerous Ti-Cats. Game 3 at 2:00 will be a much heralded rematch from Week 6. The Lions relentless attack and brutal defense against the juggernaut Argos. Hopefully everyone’s enjoying their Thanksgiving. Bulldog’s Youth Tackle Football Week 6 challenge week will be hosted at Omischl Sports Complex Wednesday the 14th. 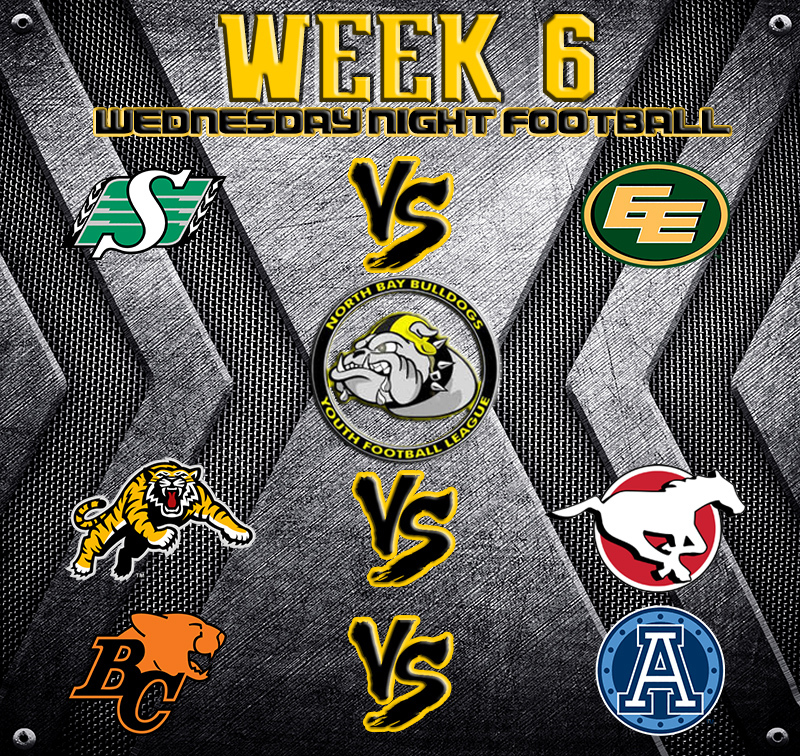 The 6:00 pm game the Riders will take on the Eskimos. These two never-say-die teams will look to have the crowd on its feet again with their high-octane offense and grinding defense locking horns. At 7:15 the physical smash-mouth run game of the Stamps will battle with the ever dangerous Ti-Cats who are menacing on both sides of the ball.